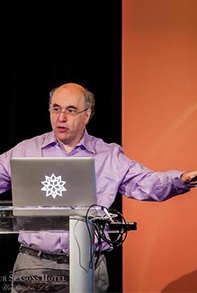 The Wolfram Data Summit is an annual, invitation-only, high-level gathering of innovators in data science, creators of connected devices, and leaders of major data repositories. 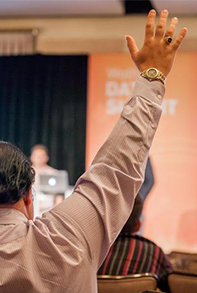 This summit offers Executive Officers, CTOs, and other thought leaders an opportunity to meet, share insights into their work, and discuss challenges and opportunities facing the worldwide data community. 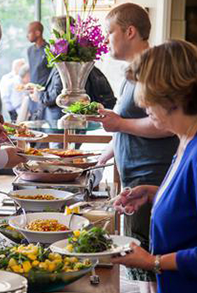 We currently plan on a full day of talks and panel discussions and dinner on September 21, as well as additional sessions on September 22, ending in the late afternoon. Speakers, panelists, and moderators will be contacted directly about A/V requirements and other details for their sessions. A PowerPoint template or a Mathematica notebook are available for speakers creating a slide show presentation. 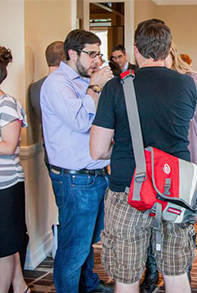 Presentations are available for talks from the 2015, 2014, 2013, 2012, 2011, and 2010 Data Summits. 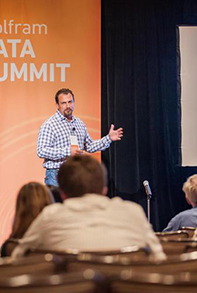 Select talks will be recorded from the 2016 Data Summit.